Ever since my boys were little, they have loved the circus. I can still remember their bright, shining faces the first time that my husband and I took them to see it. I’m not sure who had more fun, us or them. 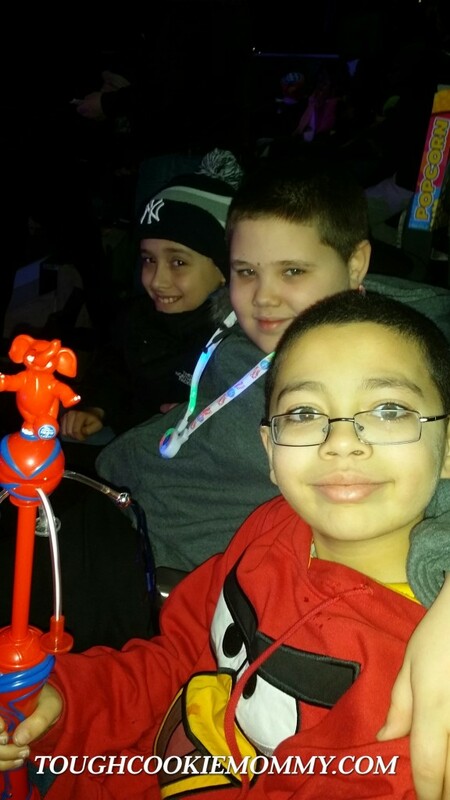 Now that they are older, I was very excited to have the opportunity to take them to see the new Ringling Bros. 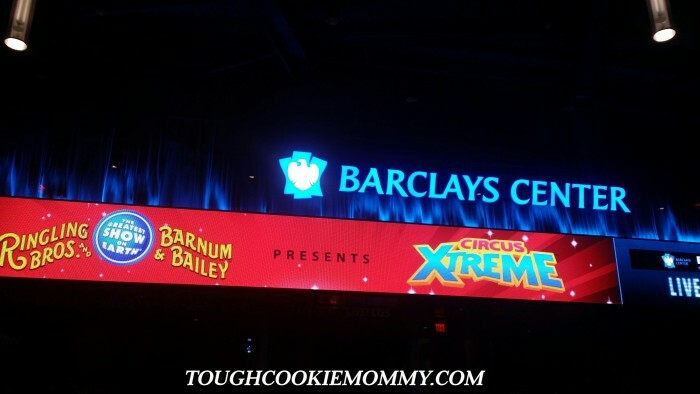 Circus Xtreme at the Barclay’s Center in New York City. I couldn’t wait to see how they would react to the show now that they are older. This new show features some unexpected spectacles that have never been seen before in the with unique circus artists and amazing animals. That is why I think it is appealing to children and adults of all ages, it has attractions that appeal to everyone universally. The best part was that, this time, I had the chance to take my nephews with us to the show so I enjoyed seeing their looks of wonder and amazement as each star put on their act. My younger son’s favorite star was Gemma Querida Kirby, also known as The Human Cannonball. He was so excited to see someone flying out of a cannon and couldn’t believe how gracefully she landed. I loved learning that Gemma speaks to kids all over the United States encouraging young girls that they can do anything they set their minds to and that they don’t have to limit themselves to conforming to preconceived gender roles. We were able to attend this fabulous show on behalf of the Feld NYC Voucher Initiative. It is a program that was launched by Feld Entertainment that distributes complimentary tickets and cost saving vouchers to their shows. The program partners with members of the New York City Council and local community groups to ensure that all families in our community have the opportunity to enjoy world class family entertainment. 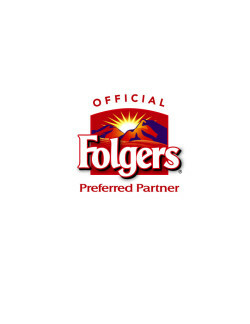 We love that their mission is to support families across the city! 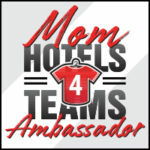 Let’s Discuss: What is your favorite circus attraction when you attend with your family? I haven’t seen the circus since I was a kid myself. I want to take my boys to see it sometime soon. I don’t think I’ve ever been to one. I can’t support a circus with traveling animals. Wow! 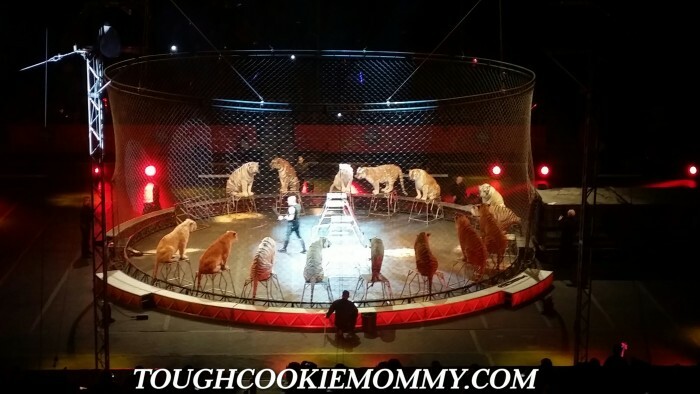 It’s not common to see circus acts with animals anymore – they are missed. So glad you guys had fun – it looked like such a good time! I love a circus. I have only ever been to one and that was over 30 years ago when my Daughter was young. How fun for your family. 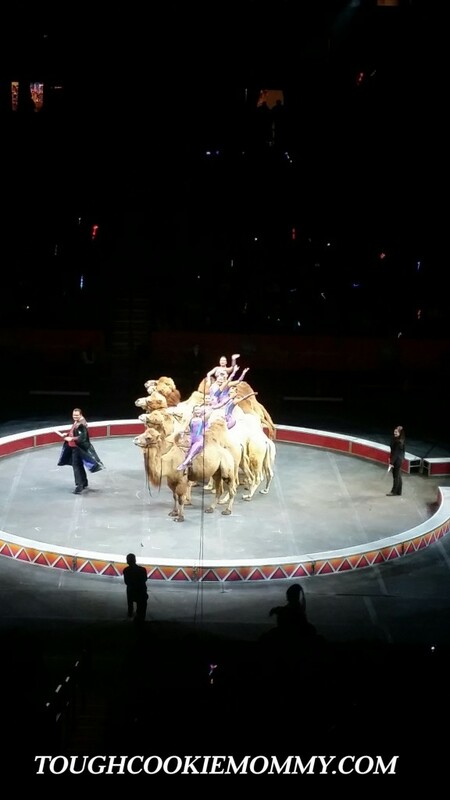 Ringling Bros puts on such an amazing show! How exciting for your family. We missed the circus this year due to an orchestra concert. Can’t wait for them to return next fall! 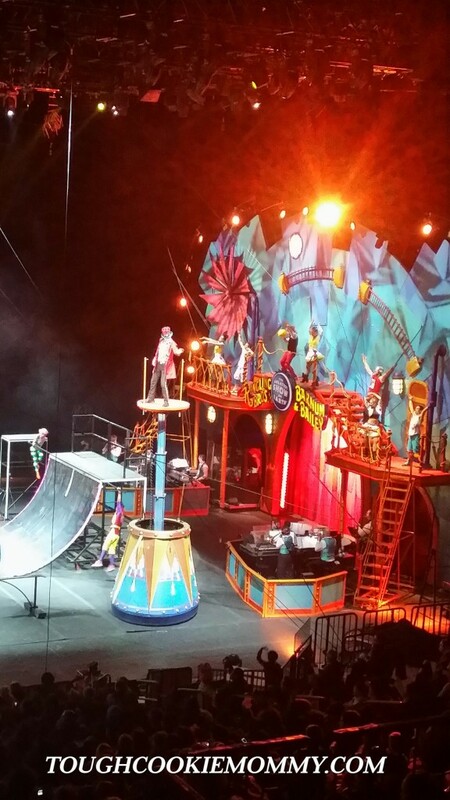 I haven’t been to the circus with our kids in several years but this one looks amazing! My favorite is always the elephants and seeing the ringmaster. I love how they work the audience! My son always loved to go to the circus when he was little. My favorite has always been the high wire and trapeze acts. We haven’t been to the circus in over 10 years. Honestly, I’m not a big fan, but we took our daughter when she was younger. I guess all kids should see the circus at least once. I’ve never been to a circus. I would imagine its very cold in the wintertime, is it it warm under the circus tent? I honestly do not remember going to a circus at any time on my life–I must have I just do not remember. I am really happy that reduced rate tickets are being given out to families so they can see great shows which they would not have been able to afford otherwise. We haven’t been to a circus in ages. It looks like you all had fun. I always liked the acrobats. 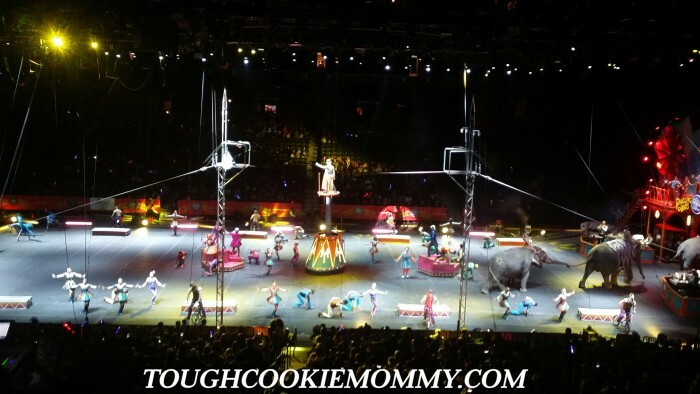 I took my kids to the Ringling Bros Circus when they were super small. I bet it has changed so much now! I have been to circuses. They are pretty fun even though I feel bad for the animals sometimes. I haven’t been to a circus in years, this looks like a lot of fun; I would have loved to have gone myself! It has been a long time since I have been to the circus, but as a kid I had so much fun. I think I liked the elephants the best. The lions were always amazing too. I will have to get my husband to go with me one of these next times there is a circus in town. My little ones love the circus! Cant wait till it comes here. I was just talking to a client today about how much my kids loved going to the circus when they were little. So much fun! I haven’t been to the circus in about 10 years. My daughter really enjoyed the show when we took her though! Oh how I love the circus. My favorite attractions are the elephants. I love to watch them walk. I love the circus. Looks like you all had a great time. I haven’t been to a circus since u was pregnant with my 2nd and I cried and cried and haven’t been back, haha I was So excited to see elephants I made a fool out of myself. In my defence I hadnt seen any since I was a wee kid! I haven’t been to the circus since I was pregnant with my daughter 33 years ago. I’ve never had the chance to take my kids to the circus. They come around Labor Day every year! The clowns are my favorites in the circus! This looks like a fun trip. Looks like such an amazing time. I was a big fan of trapeze artists in circuses. So thrilling to see people fly through the air like that! I like the acrobats and seeing people fly through the air like Vegas shows. But the circus isn’t for me. I’m against the use of animals. yay! my kids absolutely LOVE the circus. it’s their favorite thing to do..
can’t wait to take them this year!! I do want to go to the Barclay’s Center in New York City one day for an event. I heard it is fantastic. I have seen a Circus in quite a while though. Haven’t been to a circus in years. I’ve been to 3 Cirque du Soleil performances in the last few years. I used to just love taking my son to the circus. You’re right, there’s just something about seeing it through a child’s eyes. It’s magical. But now that he is grown I just don’t have the desire to go anymore. I guess I’ll have to wait on some grandbabies! LOL!